The National Leader of the All Progressives Congress (APC) Sen. Bola Tinubu on Wednesday refuted reports alleging that he boasted in Yoruba language to have stolen money. 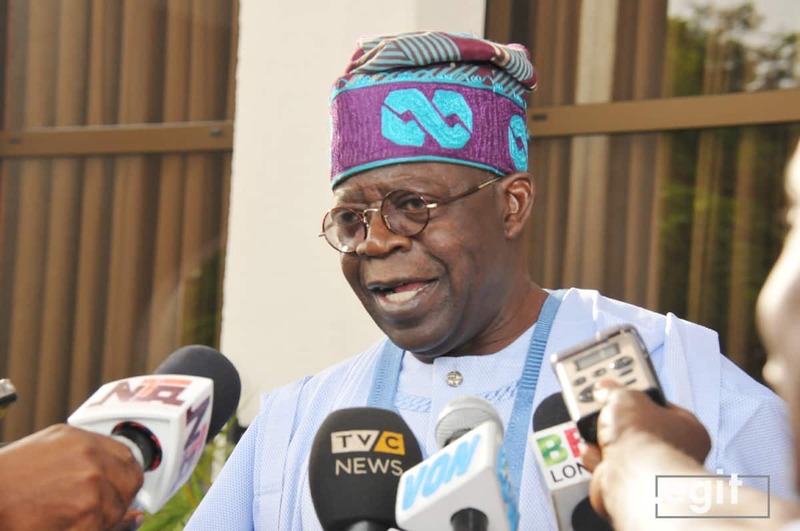 There are reports circulating in the media allegedly based on a “leaked” audio tape of Tinubu at a crowded public meeting of APC supporters in Lagos on Feb. 14. The reports claimed that Tinubu boasted that he stole money. Tinubu’s through his Media Officer, Mr Tunde Rahman, said in Lagos, however, that he could never have uttered what was ascribed to him. He said that in a desperate attempt to paint him in a poor light, the reports grossly mistranslated his statements to imply corruption and election malpractice. “Politics is an arena where mischief and exaggeration may not be the best craft but are permitted excesses of the trade. “I addressed a meeting attended by hundreds of people. The meeting was open to the public at large. Moreover, the media was present and visible. “There can be no leak involved when a statement is publicly made and the media present there. “The reports claim that I boasted that I stole money. The merchants of this outlandishness used the fact that I was speaking Yoruba at the meeting as the basis for their falsehood. “Thus, non-Yoruba speakers are left to accept their translation of my words. Had I spoken in English they would not have a story to sell for my words clearly do not say what they claim I said,” he said in a statement. Tinubu said one of the issues addressed was the reward system for loyal party members and supporters after securing victory for APC in the 2019 elections. “In short, I promised the party faithful, APC supporters and members a reward for their efforts to secure victory in the 2019 elections. “I have previously stated the goal of getting three million people in Lagos to sufficiently believe in the vision of the APC that they will vote for President Buhari and Vice-President Osinbajo. “I said I will not go to Alausa and I will not steal money nor ask for government funds. Instead, I will recognise the successful efforts of APC members using only my personal funds. “The falsifiers seek to paint my statement as improper. However, it is common practice to give tokens of gratitude to party members for their work. It is feeble to suggest that such a practice somehow amounts to vote-buying. “No one was directed to give money to potential voters. I made it clear that the token rewards will only take place after the election. “As far as any reasonable person can discern, it is somewhat impossible to purchase a vote after an election has already taken place,” he said. Tinubu said he would not be cowed by the ugly attack, saying that he was a progressive politician used to the bite and venom of those who will hold Nigeria back. “They attack me as they do because they fear my appeal to the people. For my popular goodwill is something they do not have and can never get. I earned it through serving the people. “Thus, I shall continue to fight to keep Nigeria from the clutches of those who will run the country not as a nation but as if it is their private country club. Meanwhile Tinubu, on Wednesday appealed to Igbos in Lagos State to vote the candidates of the All Progressives Congress (APC) in the February and March elections. Tinubu made the appeal in Ikeja while addressing party faithful at a stakeholders meeting. The News Agency of Nigeria (NAN) reports that the meeting was called to perfect the party’s preparedness for the rescheduled elections on Feb. 23 and March 9 in the state.